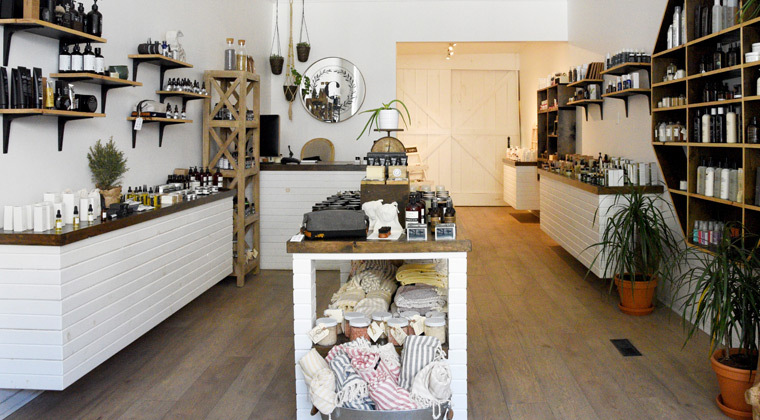 Find out why Toronto’s best retailers choose Vend. How can Vend’s POS system transform your business? Vend is simple to set up, operates on any device with a web browser, and is an absolute breeze to use. Quickly add and sell any type of product. Track inventory in one or many stores, and reward your best customers with customer loyalty. These are just a few of the features available to help save you time and make your business more efficient. Vend’s POS software is affordable. Get started with a monthly subscription from just CA$119! 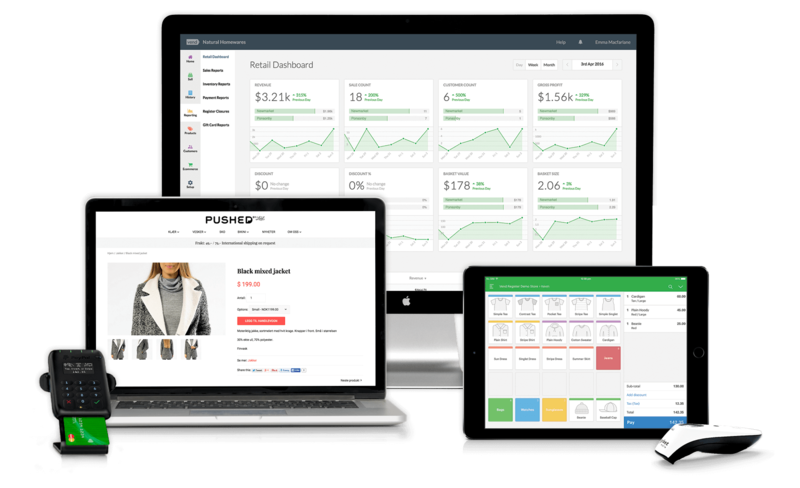 Use Vend’s detailed, real-time reporting to get an instant snapshot of sales and staff performance from anywhere, at anytime, and make better data-driven business decisions by knowing which products sell best and make you the most profit. Manage one store or many at the click of a button. Add registers and locations to help increase efficiency, manage peak sales periods, and grow your business. And when you do add those locations? Vend scales your reporting, inventory, and key features across all outlets. But don’t just take our word for it! Here’s what our customers say. 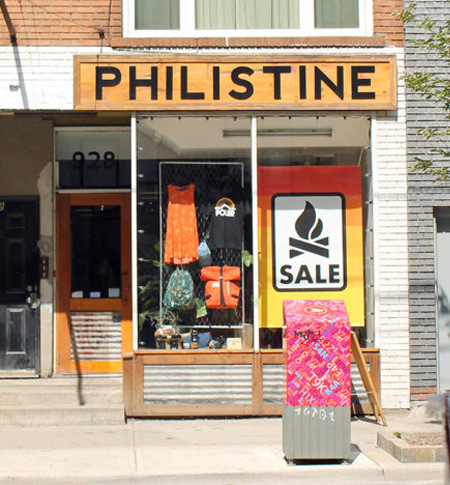 Philistine is an indie clothing store with a strong following of loyal customers and a 2,000-square-foot space centrally located in Toronto. 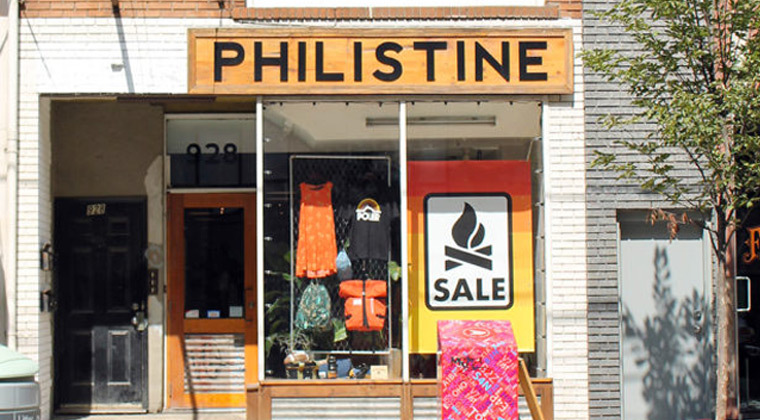 Since opening their doors in 2010, Philistine has grown quickly, picking up brands and opening an independent online store. Using Vend, they were able to start the business with low overhead costs and scale easily on multiple channels. 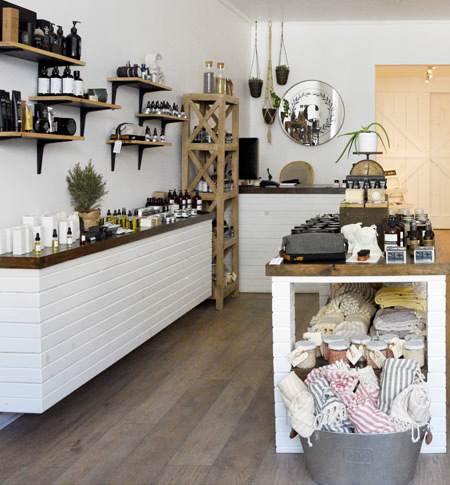 A head-to-toe skincare boutique for him and her, The Cure Apothecary sources natural and organic products from New Zealand, Sweden, and the United States. Vend allowed them to get the business off the ground quickly and easily and gave them access to the tools they needed to start making money right away. Why do 20,000+ retailers trust Vend to power their stores? Vend gives you everything you need to become Toronto’s best retailer. Maximise your sales by selling in-store, online, and on-the-go with our beautifully designed point of sale software and ecommerce solution. Choose the best way to accept payments: in-store, online, and on-the-go. Vend makes it easy for you to get paid. Build your customer database, grow repeat business, and increase shopper spend with a custom loyalty program. Powerful, customizable reporting gives you a high-level view of your entire business, so you know where you stand across all of your stores, all of the time. 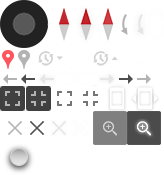 Do more with leading add-ons. Vend connects with powerful add-ons allowing you to manage your entire retail business, such as accounting and staff scheduling. Hardware is easy with Vend. If Vend doesn’t work perfectly with what you’ve already got, we can help you with a bundle that works right out of the box. You can view hardware options here. Our Toronto team is here to help. Send us an email, give us a call, or visit our Toronto-based office and let our knowledgeable team make things easy for you and your retail business. You don’t need to spend a fortune to switch your current POS system over to Vend. We have a tiered pricing model where the cost depends on how big your business is. Plans start at CA$119 per month and can go up to CA$169 per month for each store location (CA$149 per month if billed annually). Custom quotes are available for retailers with six or more outlets. All plans include one free register per outlet, but you can add as many registers as you need. Registers cost CA$69 per register per month (or CA$59 per month if billed annually). To be safe, you’re best to start with a free trial so you can give us a test drive without investing too much from the get-go. If you need to cancel once you’re up and running, you can do so at any time. Alternatively, you can find a Toronto–based Vend partner in your area to provide on-site POS installation and account setup for you. Our partners are certified Vend POS Experts who can get you up and running with the point of sale hardware, software, and add–ons you need to run your store. Check out these third-party reviews for complete transparency.